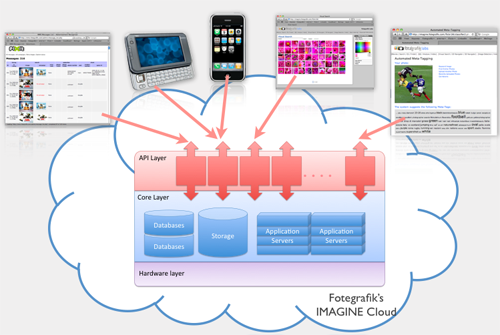 We are developing the world's first cloud computing platform for advanced image searching and recognition. Take advantage of our core technology – advanced capabilities like visual search, image recognition, and auto-tagging - without having to maintain your own costly infrastructure. Reduce costs, maximize value, and minimize worries. Leverage the applications we develop, or have your developers create your own solutions tailored exactly to your needs. Either way, let us manage the infrastructure, so you can focus on your business needs.